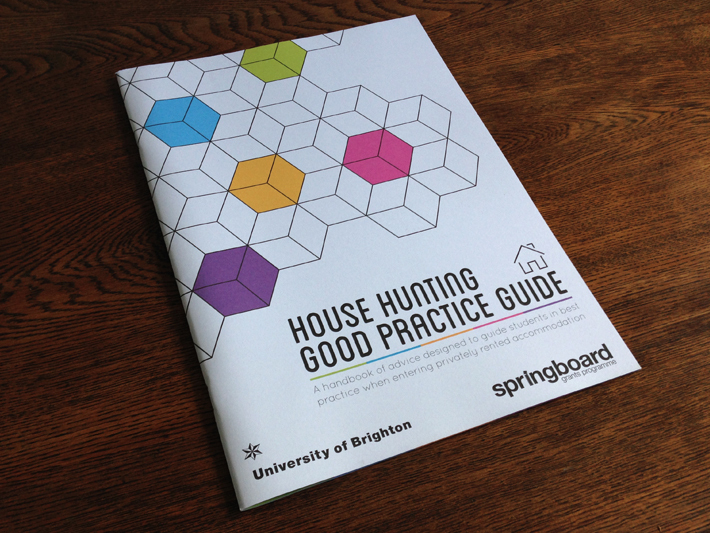 I was approached by a student at the University Of Brighton to design and publish a ‘Good Practice Guide’ that he had written in association with the Student’s Union. 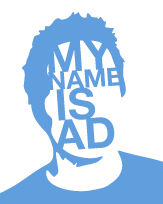 The aim of the document is to assist students who are looking for housing in their second year and to help them make the right decisions. I was given a free reign when it came to the design but decided to keep things very clean, contemporary and easy to follow. 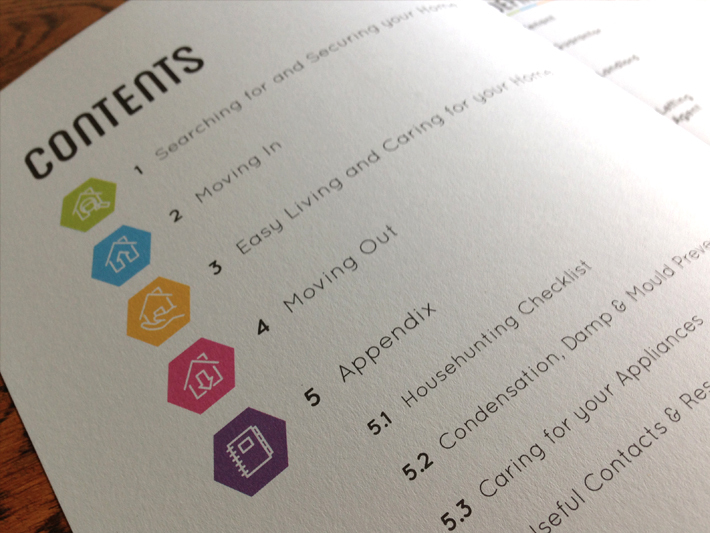 With simple, outlined icons and an understated yet bold colour palette I was able to clearly separate each section of the handbook whilst keeping a consistent style across the whole document. 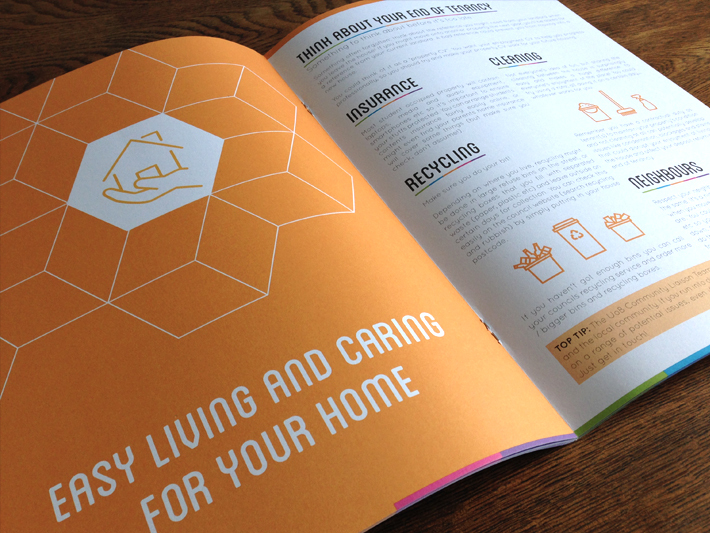 The handbook was initially only set to be available online but the University were so happy with the final result that it has now been printed and is given to students as part of a student housing pack.